90 minute session for $90! Finding a therapist to best meet your individual needs is vital to achieving your health goals. You are invited to take advantage of the New Patient Discount, ( $40 savings ), to experience my approach and methods practiced and see if they are a good fit for you! Professionalism, communication, and compassionate quality health care are my strengths. Please contact me if you are in need of an exceptional massage therapist. Thank you for taking a look and I look forward to working with you! 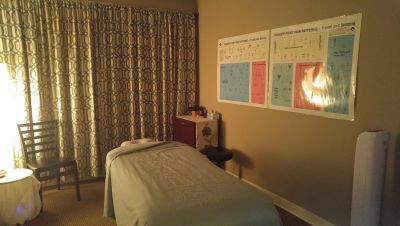 Located in Complete Care Acupuncture & Wellness in Crofton, MD. See a map here. On the corner of the Route 450/Crain Highway (Route 3) intersection, in the Chesley Building right next to Poncho n Pepe's. Come in the main entrance located on the right side of the building and take the stairs or elevator to the second floor. You will find us down the hall on the left.